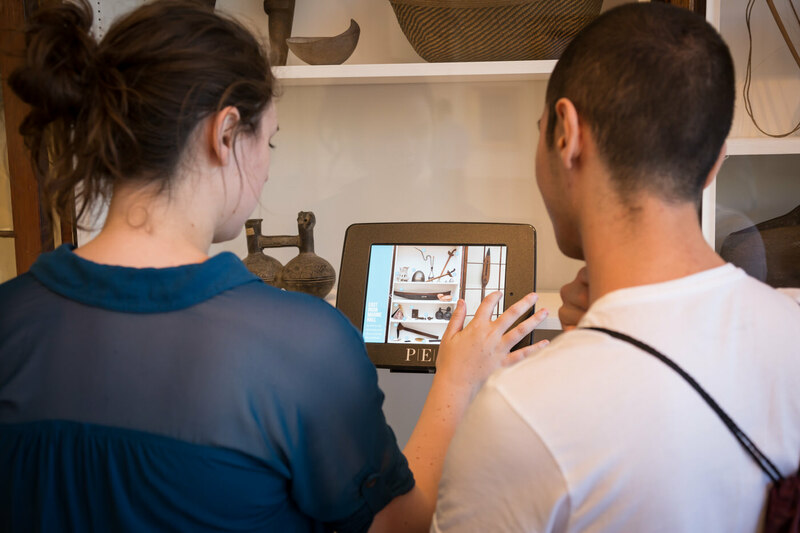 Brianna Macgregor '16 and Ozdemir Vayisoglu '16, both fellows at the Summer Humanities and Arts Research Program, digitally access information about an object at the Peabody Essex Museum (PEM) in Salem, Massachusetts, during a workshop on cultural interpretation. 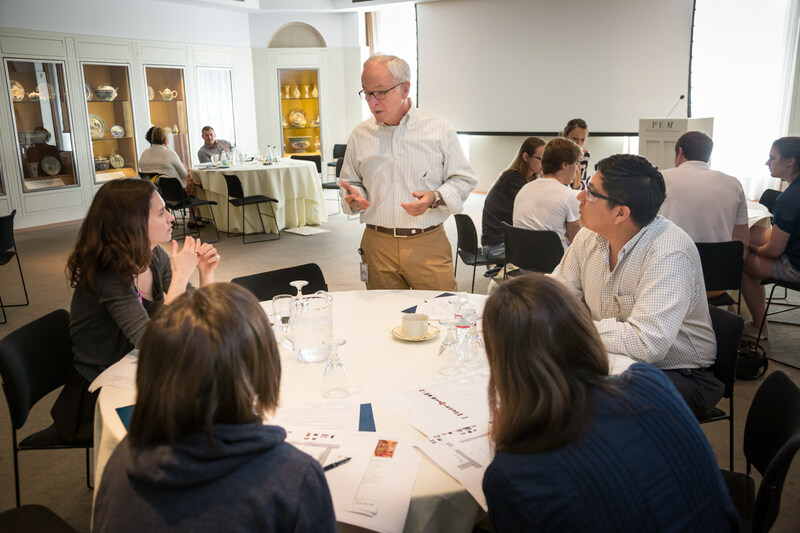 PEM exhibition project manager Kurt Weidman mentors a team of SHARP fellows during an exhibition design activity. In addition to being involved in their particular humanistic research projects, SHARP fellows come together for field trips and guest-speaker events sponsored by the program's staff. PEM assistant director for adult programs Michelle Moon leads a group of SHARP fellows and staff in a discussion about the changing nature of cultural interpretation. Rachel Gibian ’15 will spend a considerable part of her summer in the stacks of the Schlesinger and Houghton libraries, digging up primary documents about women who were active abolitionists during the American Civil War. Her archival work will help history and literature lecturer Timothy McCarthy develop a play that will have a staged reading during the American Repertory Theater’s 2014-2015 season as a contribution to the National Civil War Project, a collaboration among several universities and performing arts institutions across the country to commemorate the 150th anniversary of that conflict. “Four Harriets,” as McCarthy has titled his forthcoming production, will be one of several Civil War-inspired theatrical works to be hosted at the American Repertory Theater during the next season. Gibian, an English and religion concentrator, said she appreciates the interdisciplinary nature of the project, which integrates archival work with art-making. Gibian is one of 11 Harvard undergraduates who came back to campus in early June to participate in the Summer Humanities and Arts Research Program (SHARP), a 10-week internship experience during which students assist faculty members, museum administrators, and librarians in humanistic research projects. When it was launched last summer, SHARP sponsored four projects that involved a total of nine students. This year, the number of projects has more than doubled. According to Gregory Llacer, director of the Office of Undergraduate Research and Fellowships, increased faculty interest drove SHARP’s expansion. 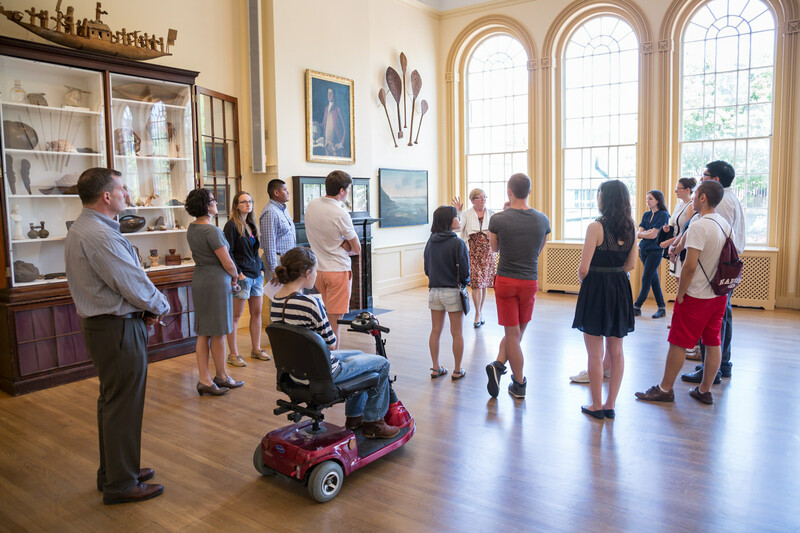 This summer’s research opportunities range from studying African-American folktales with Maria Tatar, Loeb professor of Germanic languages and literatures and of folklore and mythology, to developing digital maps and other cartographic material under the supervision of curators and museum technologists for the soon-to-be-reopened Harvard Art Museums. “SHARP contributes to the growth of the undergraduate fellows by introducing them and deepening their exposure to academic and creative work in the arts and the humanities, and by giving them room to explore their own intellectual and creative pursuits,” wrote McCarthy, who is also an adjunct lecturer of public policy at the Kennedy School, in an e-mail to Harvard Magazine. According to Watts professor of music and professor of African and African American studies Kay Shelemay, who is also supervising a SHARP project this summer, the program allows students to explore what being a scholar in the arts and humanities entails. Samantha Heinle ’16, Shelemay’s summer research assistant, noted that programs like SHARP are particularly suited for students who are interested in pursuing an academic career. The music and literature concentrator will be investigating how Ethiopian musicians in the United States portray themselves in social media; her research will contribute to Shelemay’s book about the artistic lives of musicians who fled to America during the Ethiopian diaspora. “It is sort of my first foray into the realm of researching music in some capacity,” noted Heinle, who plans to pursue a graduate degree in ethnomusicology.